An umbrella policy can become the primary policy "on the risk" in certain situations. The term "umbrella" refers to how the policy shields the insured's assets more broadly than primary coverage. It is distinguished from excess insurance in that excess coverage goes into effect only when all underlying policies are totally exhausted, while umbrella is able to "drop down" to fill coverage gaps in underlying policies. 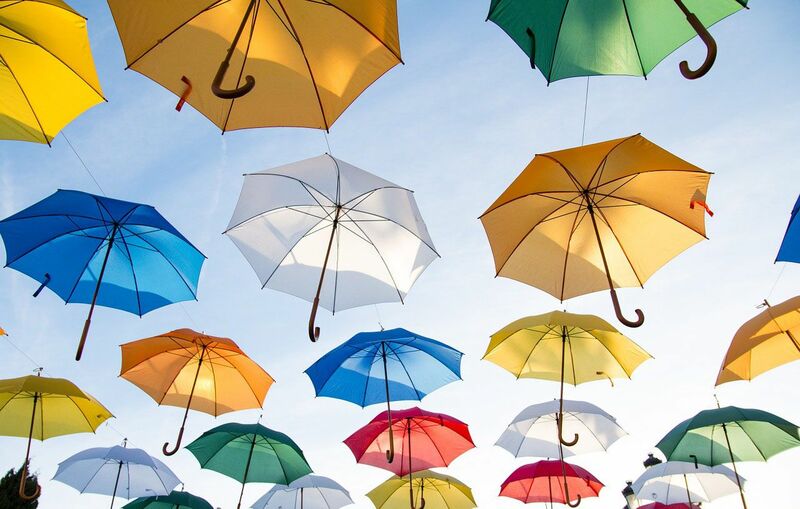 Typically, an umbrella policy is pure liability coverage over and above the coverage afforded by the regular policy, and is sold in increments of one million dollars. The term "umbrella" is used because it covers liability claims from all policies underneath it, such as homeowners insurance and auto insurance policies. For example, if the insured carries an auto insurance policy with liability limits of $500,000 and a homeowners insurance policy with a limit of $300,000, then with a million dollar umbrella, the insured's limits become in effect, $1,500,000 on an auto liability claim and $1,300,000 on a homeowners liability claim.